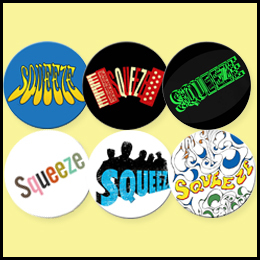 The Squeeze store is listing new merchandise including badges (buttons) and t-shirts. There are ladies-fit t-shirts and sizes including S, M, L, XL and XXL. 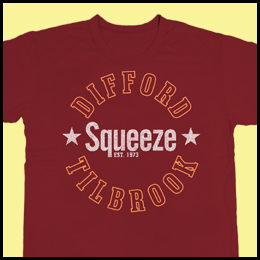 I’m loving the Difford – Tilbrook – Squeeze – Established 1973 one – I’m dusting off my wallet as I type. You can order them now and they are due for dispatch on 23 April 2012. So what do you think of the new designs? 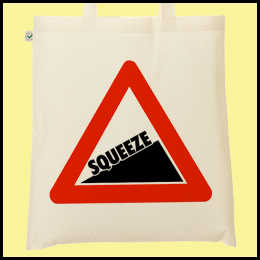 25 Responses to "New Squeeze Merchandise imminent"
Finally, some decent looking gig swag–and you know now, that this is a comment from a veteran graphic designer ;o ) I picked up the Est. 1973 shirt in San Diego! I love the Est. 1973 design too – is the shirt good quality and what colour is it actually? – it’s really hard to tell from the photo on the shop page. The T-shirt brand is Royal Apparel I’d say it’s a cranberry color shirt with orange and white ink colors. 100% cotton, but thinner, stretchy fabric that’s popular these days. My shirt seems kinda long in length, but I like it that way.